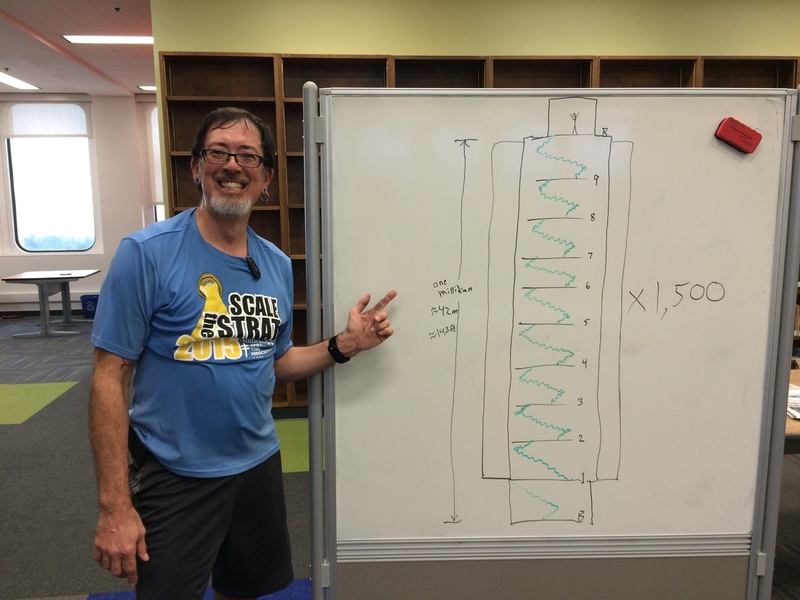 About the middle of November, I was curious, and I added up how many times I’ve climbed the 10-story staircase at Millikan from the basement to the landing at the roof door. At the time, it was something like 1,240 times, so I decided to set a goal of making it to 1,500 climbs by the end of the year. When I go over there with Nick to climb, we generally do a set of 12 climbs each time. So I figured that doing 260 climbs over six weeks was possible. That’s not quite 22 sessions over 42 days. So the clock was ticking. Today was the finish. And not a moment too soon, since the building is closed from Christmas day through the end of the year, so I had to finish by the 23rd. And I wanted to space out the sessions so I wouldn’t have to do a marathon session at the end. A few years ago, I went and climbed it 18 times on the last day it was open, and that got grim the last four or five times. So here it is. 1,500 climbs up Millikan. That makes 63km vertical in this building alone. And with the 21,640 meters of climbs in other buildings, my total stair climbing for the year stands at almost 85km, which is just a bit over 52 vertical miles. That means I averaged a vertical mile of stairs every week this year. 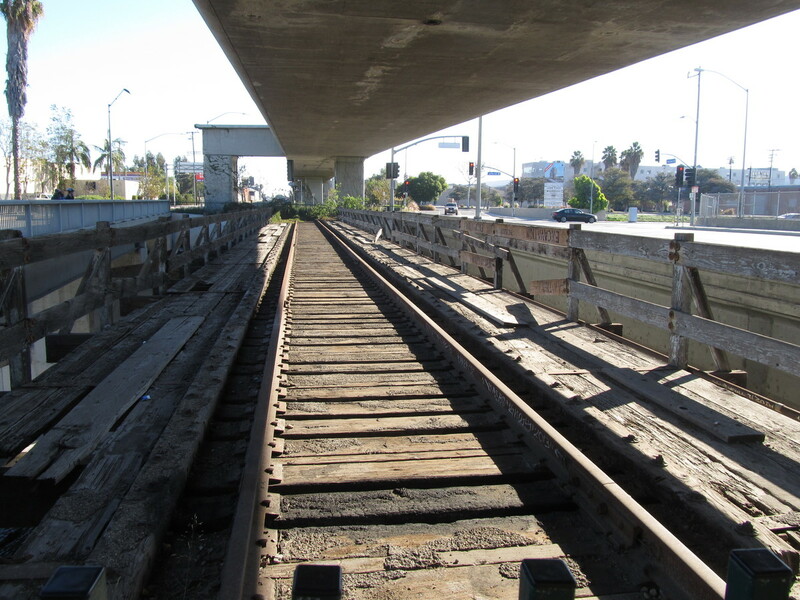 Two weeks ago, we rode into downtown Los Angeles to see the 6th Street bridge, and also to see some fossilized tracks from the former Pacific Electric Air Line. 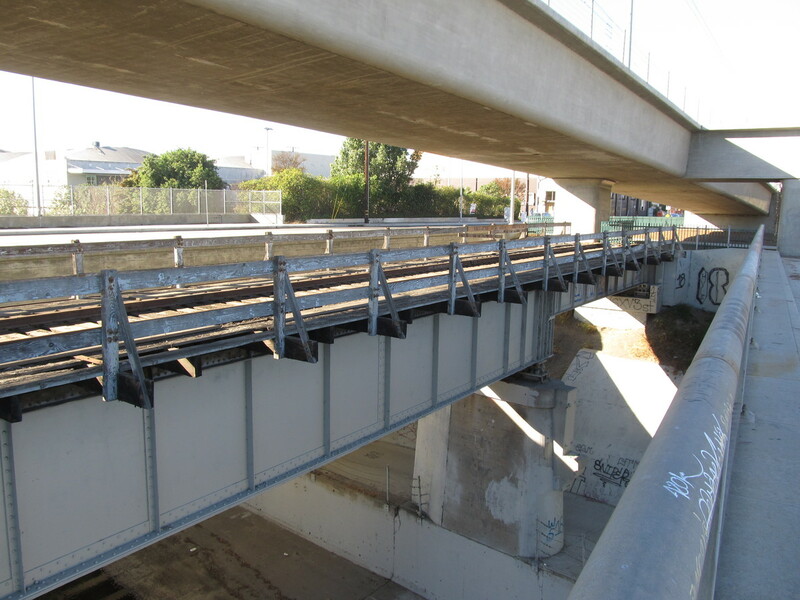 The same web site where I found out about those tracks also had a note about the old bridge over Ballona Creek in Culver City. Apparently, the bridge and old tracks are still there, and Metro just built the new Expo Line elevated tracks above it. So today’s ride was a trip out there to see the old bridge. We started out heading into downtown L.A. bu our usual route. 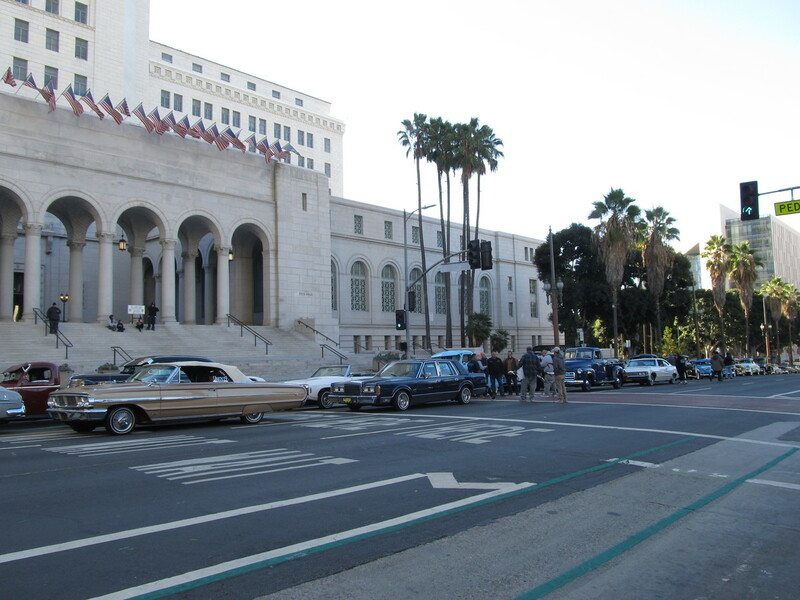 There was some sort of lowrider car show going on in front of City Hall. 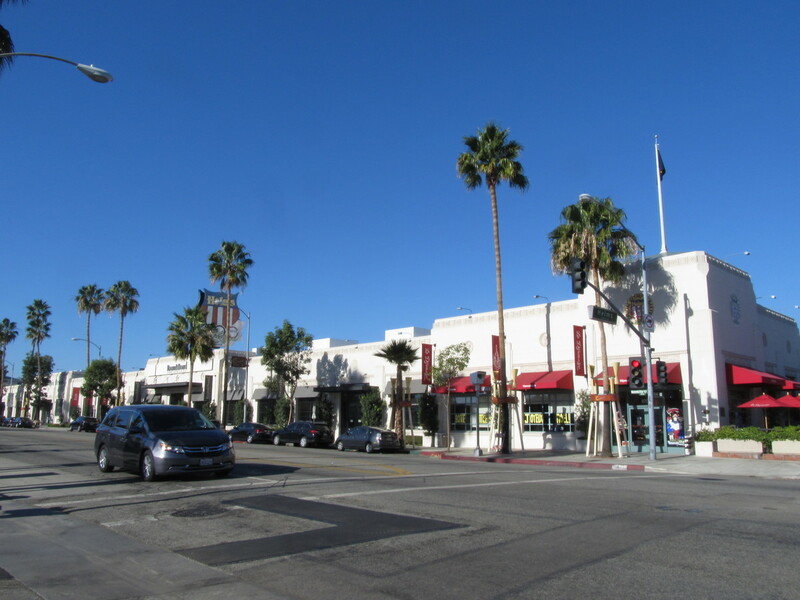 Continuing south, we picked up West Adams Blvd and took that out to just past Crenshaw. 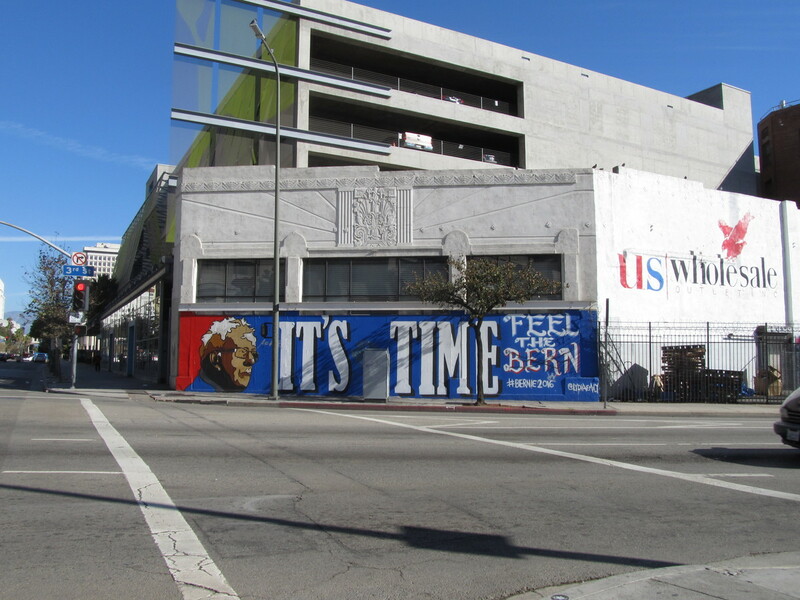 Then we went south a few blocks and got on the bike lane that parallels the new Metro Expo Line. 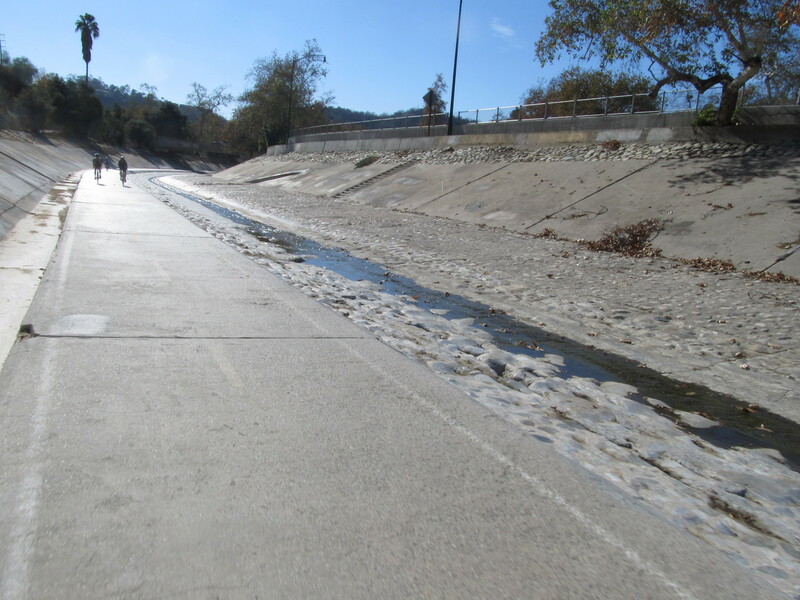 That brought us to just past the La Cienega station, where the bike lane becomes a bike path, and crosses Ballona Creek right next to the old Air Line bridge. It’s kind of remarkable that the bridge is still there, and still in pretty good condition. 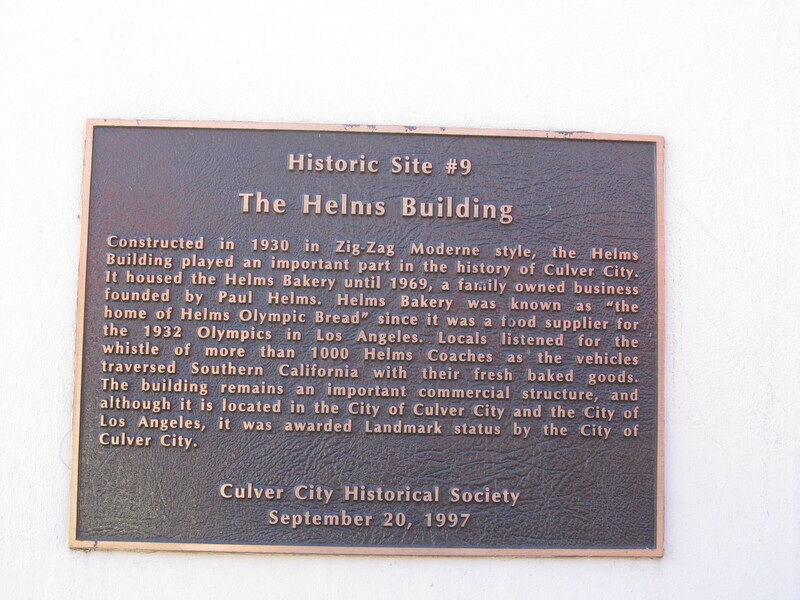 After looking at the bridge a bit, we continued west on the bike path, and then turned off on Helms Ave to go up to the old Helms Bakery complex, which has been turned into stores and restaurants. 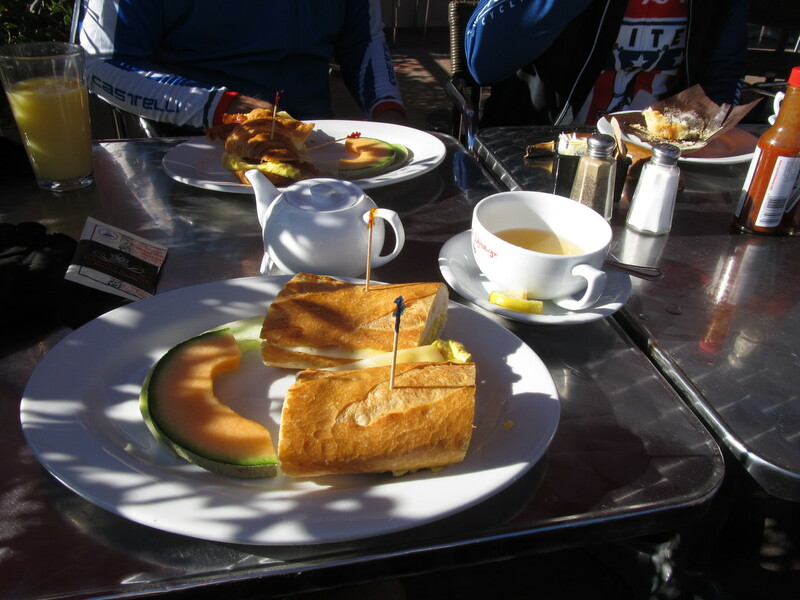 We went to a little cafe there called La Dijonnaise. The food was pretty good, and it was pleasant sitting out on the patio there. The route home took us back into downtown by way of Venice Blvd, 9th St, and 7th St. Then we took the Arroyo Seco bike path from just east of downtown all the way to South Pasadena. It was a good way to come home, since the Arroyo bike path is essentially flat all the way.